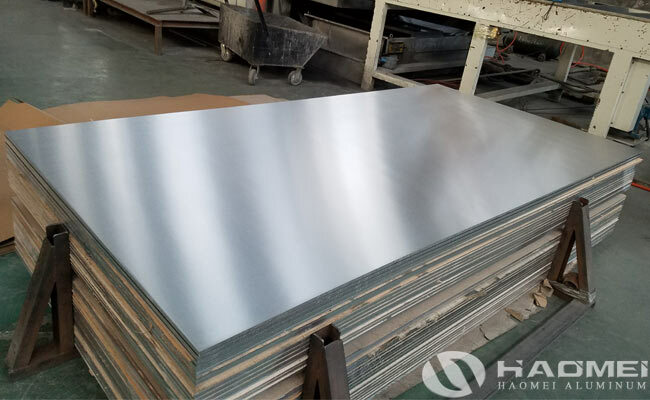 The aluminum sheet has the characteristics of low density and high hardness, and is an indispensable raw material for aviation equipment, aircraft and missile manufacturing. Aaviation aluminum sheet 2000 series and 7000 seris have high precision requirements for the aerospace and aircfaft industry. It is the main condition for promoting the research and development of high-grade aluminum sheets. For the manufacture of passenger aircraft and the manufacture of satellite equipment, special designed and developed aluminum sheet products are selected. The aviation aluminium sheet is mainly composed of 7000 series and 2000 series, and has 7075 aluminum sheet plate, 2a12 aluminum sheet plate, 2024 aluminum sheet plate and so on. Aircraft aluminum sheet alloys are generally divided into four generations, the first generation is 7075 aluminum sheet plate and 2024 aluminum sheet plate, used for the first generation of regional airliners before the 1980s. Since the 1980s, with the development of aluminum alloy technology, the second-generation aircraft aluminum sheet alloy 7050, 7475, 7175 aluminum sheet plate and 2124 aluminum plate, 2224 aluminum plate, 2324 and other aluminum plates have been significantly improved on the second and third generation passenger aircraft. The third generation of new aviation aluminum sheet alloy 7150-T77 aluminum plate, 7055-T77 aluminum plate, 7085 aluminum plate high strength and high toughness and 2524-T3 aluminum alloy have been widely used in Boeing 777, A380 and other large civilian passenger aircraft.